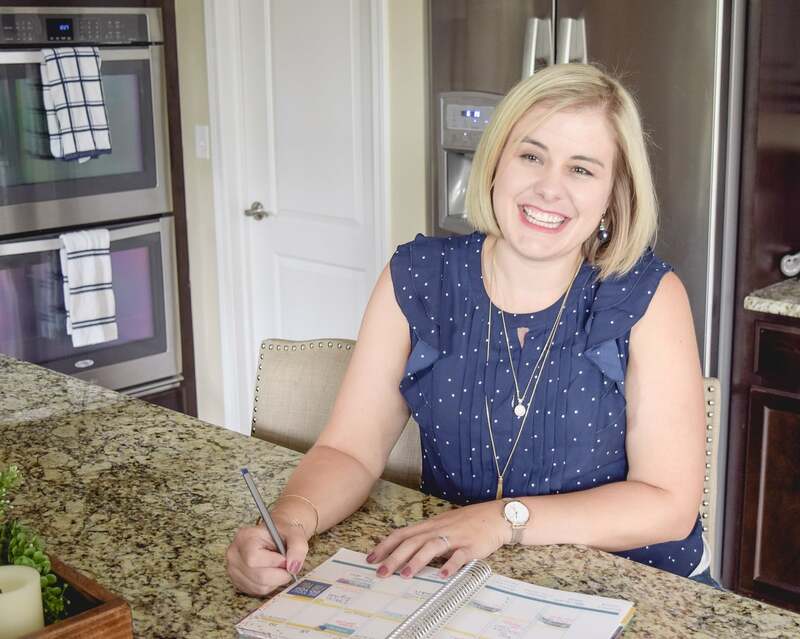 Get this after-school schedule maker free print to help you overcome the chaos with an evening routine. 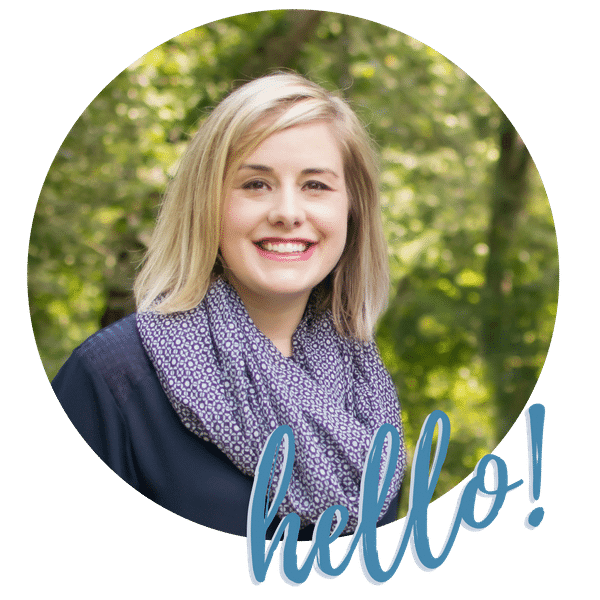 Download the free printable & stop feeling emotionally drained. Weeknights seem to get harder to manage every year. 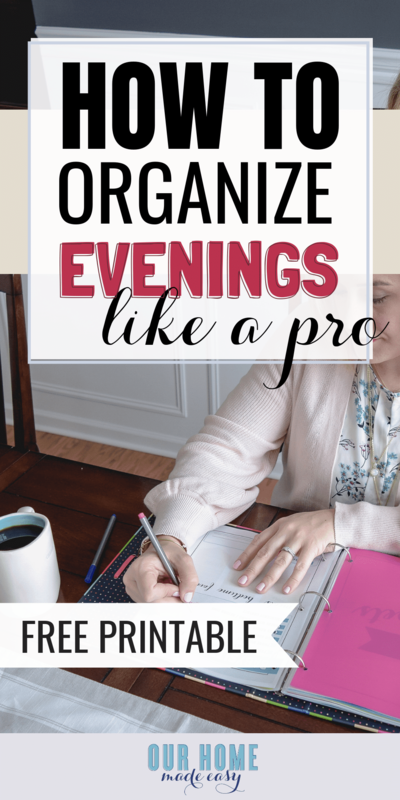 Luckily you can create your own schedule maker where you need to be during the evening! Keep reading for a fun & free new print to help you get organized this week! Since the school year has started we’ve been busy trying to learn a new evening routine. Aubrey has soccer practice 1-2 nights, Jordan travels, and we’ve even had a UT Alumni event apple picking on a Monday. Every week is something different. 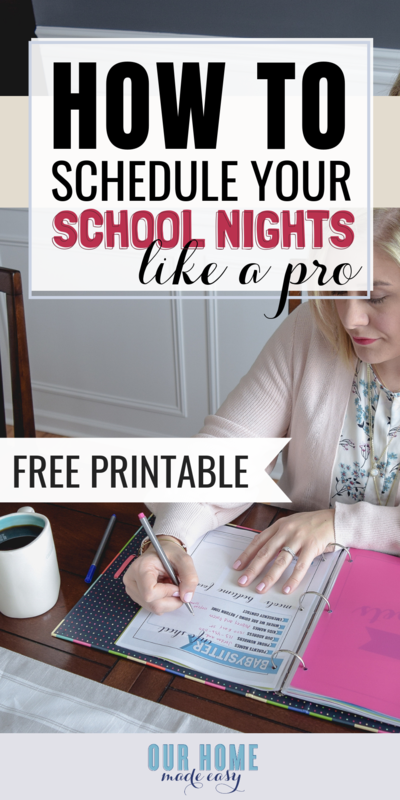 If you’re super busy too during the weeknights, I wanted to share a new printable in the printables library with you! It breaks down each hour of the week to help you quickly see where you (& the kids) need to be! And because if we’re being totally honest– I included a spot to write down the dinner plans so everyone is aware of what dinner needs to be. I find this helpful when one of us is home earlier than expected. We can jump right in on prepping dinner. Use the after school planner to help you divide & conquer your evenings. Or– quickly see where you need to be in 2 spots at once and know right away if you can carpool. 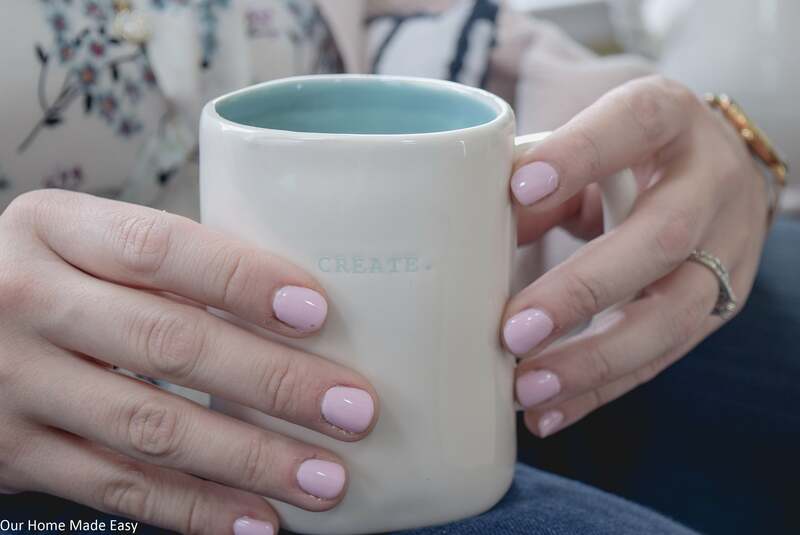 Need a great morning routine? 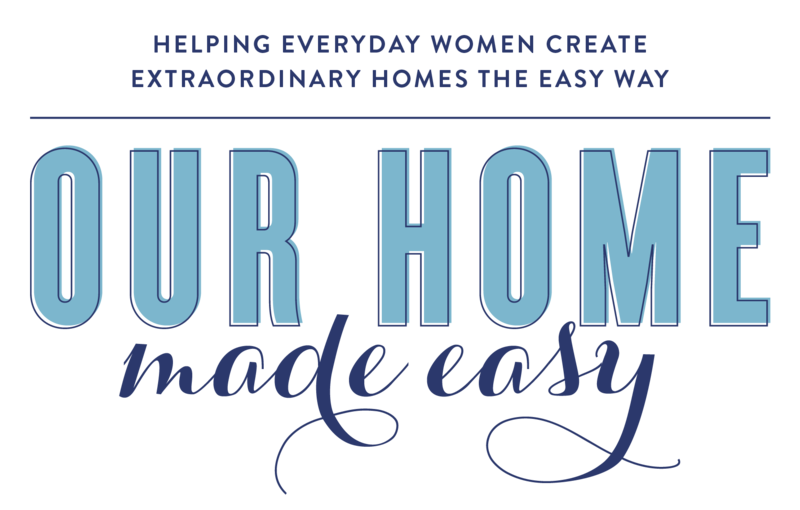 You will find lots of ideas & tricks using my 7 surefire ways to get out the door faster in the mornings! 2. Fill in your after-school time. I purposefully left it blank so that you can start your afternoon at any time frame. Then, break it down into 30 minute or half hour blocks. Each night might have different blocks, that is okay! 4. Determine where you can realistically be and where you need help. Ask for it! 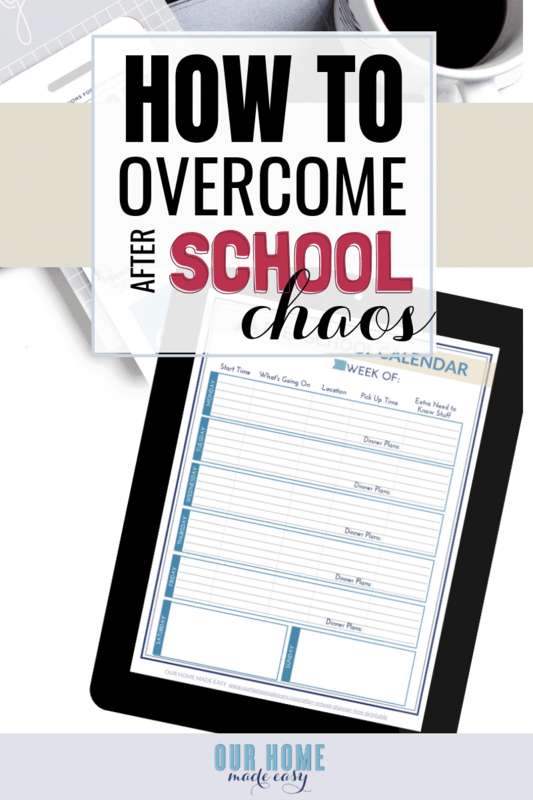 Don’t give into a chaotic after school schedule. instead, create a simple outline of where you need to go and with whom. While you can’t split yourself into 2 people, you’re giving yourself a simple advantage to feeling in control of your time. 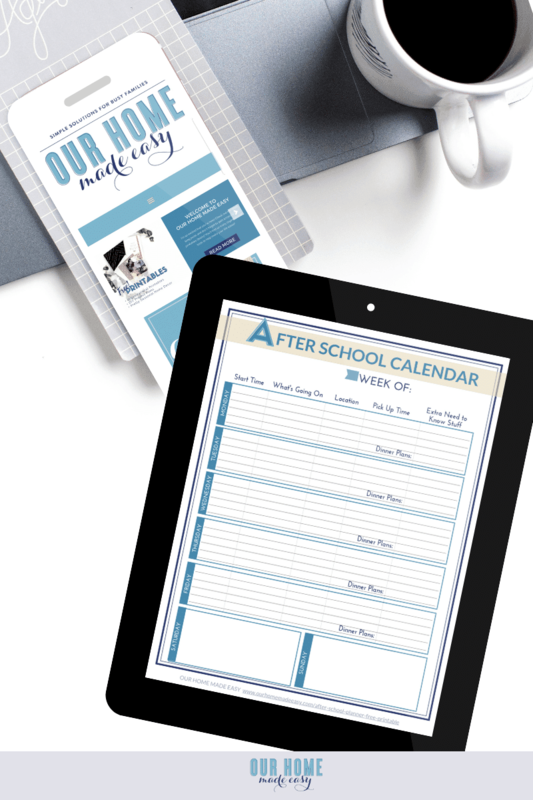 GRAB YOUR FREE AFTER SCHOOL PLANNER HERE!